If you are a beauty blogger, there will be a time when you're in a dilemma thinking what post to write. It can be a big headache deciding which post is more important. This post is to help you decide on what type of blog post to write, more specifically, what type of blog post that garner higher readership. First of all, let me remind you that every blog is different. 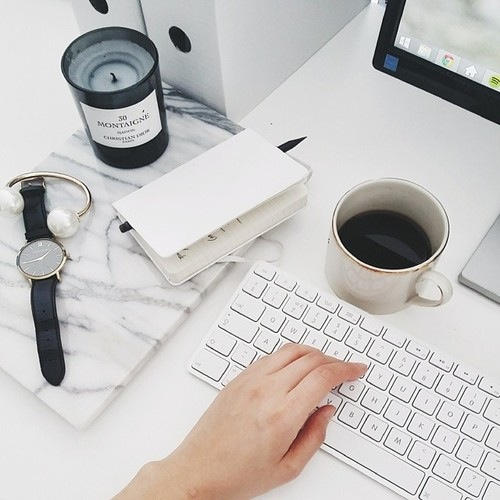 The most important thing for you to do is to understand your blog stats. If you haven't utilize your blog stats, I suggest you to install Google Analytics (GA) on your blog and start monitor your blog statistics. And you also need to be able to read the data on your GA. I will teach you girls on GA some other day, but today we're just going to focus on the type of posts that can acquire you high readership. Generally product reviews don't fetch a lot of readers in a short run. The readership often comes from search engine where people Google a specific product and land on your page. This type of readers aren't exactly your followers, they happen to come to your blog to get specific information. There are also product reviews that generate high readership in short term. These are normally the hype products. If you missed out the hype period, there's no use of posting the product review anymore. Chances are, other bloggers already posted it up and readers already overdosed with the reviews. For my blog, I find that people love mini reviews posts. Posts such as What's in my trash and What's in my travel beauty bag normally garner very high readership. It is concise, straight to the point, honest and covers more products in one post. As a reader, they want posts like this because it saves their time to read and they'll get honest opinion on the products. Typically shopping haul post has high readership if it is done in a specific way. For example, shopping haul from Sephora, shopping haul from Hong Kong, shopping haul from Korea, shopping haul from Sunway Pyramid, etc. People don't just enjoy seeing what you buy, but they want to know what they can buy when they visit the places. Make sure you include relevant information such as where to shop for the products, price, promotions, etc. In my personal opinion, event blog posts are the worst to write about. Not only it serves no purpose to my readers, the event is already something of a past, there is really no use to write about. After attending an event, always ask yourself the purpose of the event and focus your writing on the purpose. For example, if it is a product launch, talk about the new products. If it is a workshop, translate what you have learn in the workshop onto your blog. Always remind yourself what readers want to read. It is pointless for you to talk about the food, performance, who attended the event, etc. Tutorial is one of the posts that readers love. Post like this let readers see how the products are use in action. And it is also a post where readers can learn new skills. When you tie in mini reviews with tutorials, readers really enjoy it. In fact, I myself enjoy posts like that. Sometimes you need to take a break from overloading your blog with just beauty-related posts. This is why I have my occasional Weekend Edition where I blog about things other than beauty such as book review, home decor, food, stuff I found on internet, etc. These posts get really hot for the week because readers need a breathe of fresh air. The suggestions above are based on my observation from my GA data. Generally, the info applies to most blogs. If you have very little time and deciding between different blog posts to write, I hope you'll find this post useful. Meanwhile, if I have missed out any type of blog post, do let me know. Or if you have any tips to share, do comment as well. I would love to learn more from you as well. Well said and well-written! Totally an awesome insight for new bloggers, like me. Thanks for the tip!